The Ermine Moth is a wonderful pattern athat is an imitation of light coloured moths. It works wonders in the difficult half light and on the tumbling streams. Without doubt the Ermine Moth is a deadly killing pattern on various types of waters, a pattern not be left at home. Tag : Orange wool, yellowish. Rib : Black tying thread. Hackle : Two large grey speckled partridge. 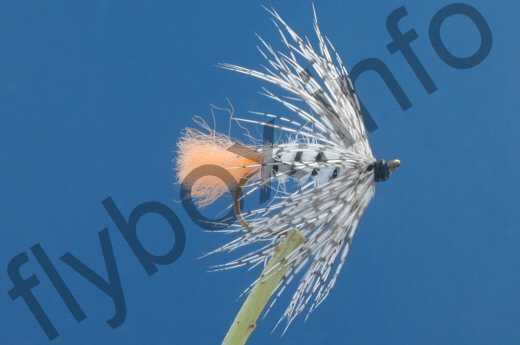 Currently there are no comments about the Ermine Moth fly pattern from other fly fishermen yet.